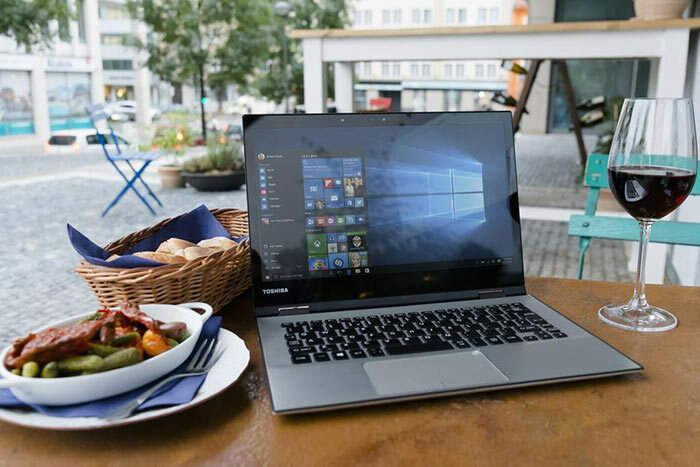 Today, at IFA 2015, Toshiba has launched the Satellite Radius 12 convertible. It's a Windows 10 convertible featuring a 6th gen Intel Core processor and, a world first in this size, an Ultra HD 4K screen. Toshiba says that its hardware features provide the end user with a "best of Windows 10" experience. This compact and slim new laptop offers five different modes and is equally at home in the office, at home, or on the move. The machine features a 12.5-inch IPS LED 400 NIT display with 3840 x 2160 pixels and touch sensitivity. Toshiba's display is colour calibrated and certified by Technicolor, along with Chroma Tune for Toshiba software. As it's a touch screen Toshiba has wisely covered it with Corning Gorilla Glass NBT reinforcement. For those who don't feel the need for 4K in such a small panel an FHD option is available. To please your ears Toshiba includes built in harman kardon speakers tuned by DTS Studio Sound with a wireless music via Bluetooth Link capability. 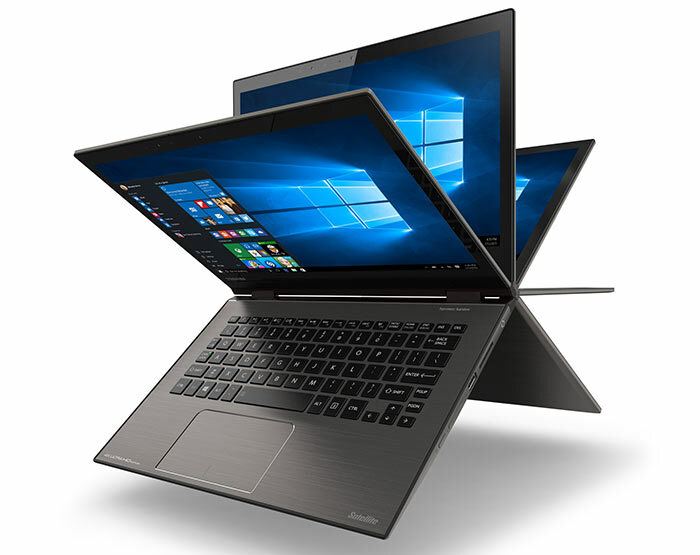 Fleshing out its 'best of Windows 10' assertion Toshiba says the Radius 12 is equipped with a Windows Hello capable webcam, a quick access Cortana button, a precision touchpad supporting gestures and support for Continuum. 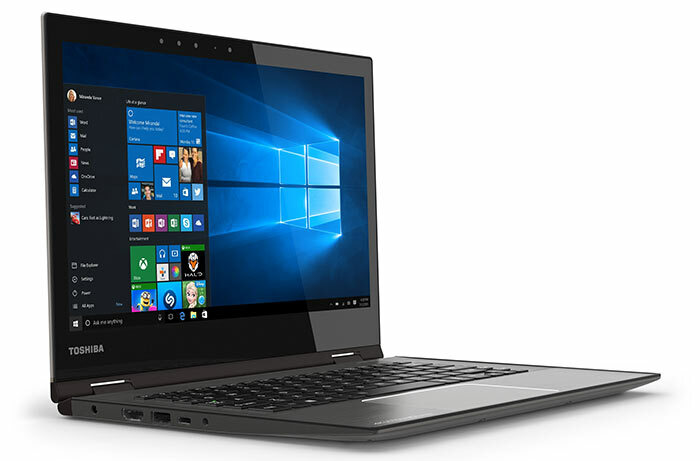 Inside the Toshiba Satellite Radius 12 can be specified with a new 6th gen Intel core processor up to a Core i7 model with Intel HD Graphics 520. Other key performance components include a standard 8GB of LPDDR3 RAM, and a 512GB M.2 SATA solid state drive. Expect about 8 hours of battery life from this device. Network connectivity is provided by Intel Dual Band Wireless-AC and for wired connection to peripherals you can use the new USB 3.1 Type-C Gen 2 port with up to 10Gbps throughput. Key physical characteristics of the new Radius are as follows; it is 15.4 mm thin, and weighs from only 1.32kg. 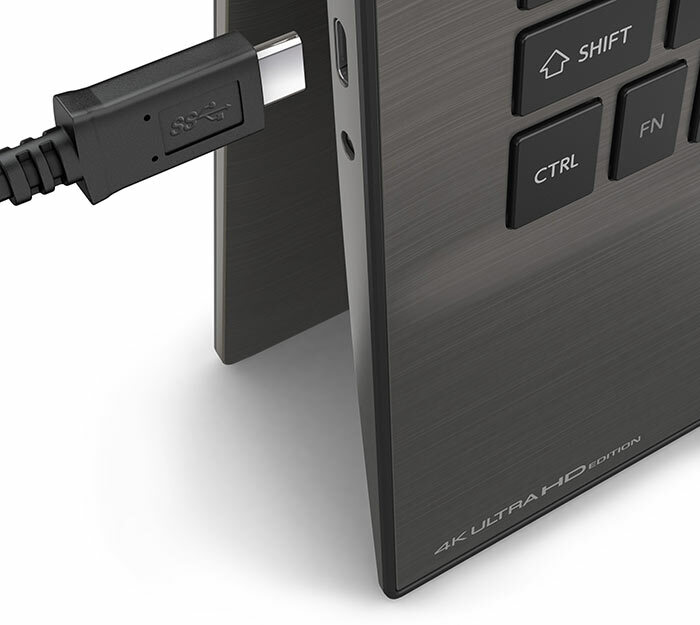 Its 360 degree hinge enables the five different modes – laptop, tablet, tabletop, presentation and audience. Toshiba will sell the device in Carbon Gray or Satin Gold with a backlit tiled keyboard and precision touchpad. The device will be available in the UK from Q4 this year. Pricing has yet to be revealed. I do wish companies would stop tagging the word “convertible” onto any laptop with a touchscreen and a wide-opening hinge. And inventing usage “modes” to try to sound innovative. I mean, what on earth is tabletop mode? How are presentation and audience modes different? Don't you need an audience for a presentation, and to present to an audience? Toshiba Satellite Radius 12 (Bendy & Pokey Laptop) 16:9 aspect ratio. Do MS and Google have exclusive deals for using 3:2 aspect displays? ALSO I don't want edge browser, I use I.E.11 and if you go to add ones then the remove Bing button is greyed out, yes I have tried various fixes to remove but to no avail. Thinking of going back to win7 till the bugs in win 10 are sorted. Open the Search bar, click the settings button, turn off Cortana and Bing integration. Using a Thinkpad Joga,, the ‘alternate mods’ are useful (even if I can't remember what arbitrary names Lenovo have called them). Having the keyboard upside down and flat on your lap and the screen folded back around to face you is great when used on a train. Standing it on the ‘ends’ so the hinge points up makes it nice and stable for use when lying on a sofa or bed without the base vents being blocked by lying on a soft material (without needing an extra laptop tray or large book or whatever to put it on).